What’s your super power? Well I’ll tell you a story about mine…. A while ago my sister had a gene test come back as an abnormal mutation, and as soon as I heard this my brain jumped to the X-men who are all ‘mutants’ with super powers caused by mutated genes. I mentioned it to my doctors (not the x-men bit) at the Behcets Centre and they tested me and unsurprisingly it came back as positive too (TNFRSF1A variant R92Q incase your interested, it’s sometimes associated with TRAPS and MS neither of which I have). Since then we’ve been joking about what our super power may be, I have ask my doctors when the power is going to appear, we’re all still waiting patiently whilst they look bemused. 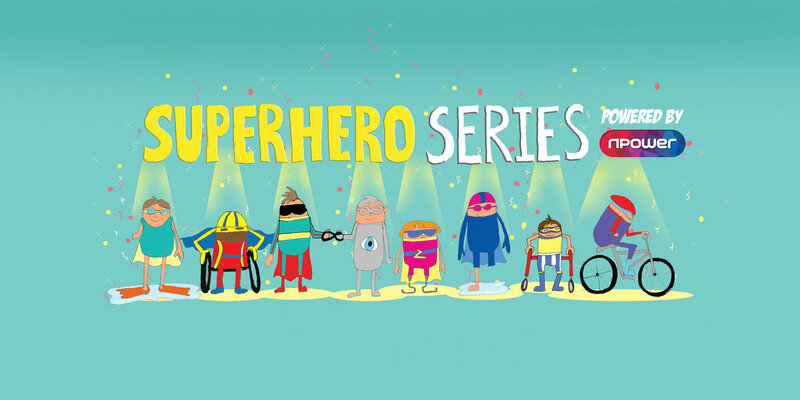 But it has got me thinking about how recently people with disabilities have been represented as superheroes and what the impact of that is. There’s been a big change in the way people with disabilities have been seen in recent years. The Paralympics in London 2012 showed us athletes who were able to do everything despite having faced illness, accidents or birth defects etc (see Channel 4’s Advert Meet the Super Humans, it still gives me all the feels). Even the popular tv chat show, The Last Leg, sprung up from the games with 2/3 of the hosts having prosthetics. It championed disability and difference through comedy and sport. It’s still broadcasting in the prime Friday night spot over 6 years on (though it has sadly has moved away from its original roots of disability visibility and rights). With its triumphant music, Public Enemy’s Harder Than You May Think, reporting of the games it thrust people with disability into the mainstream as Superhuman, the true X-men. One of the show’s prominent features is its hashtag #isitok and is used to ask is it ok that… type questions about current issues. In the beginning these were disability related such as. But here’s where I want to ask my own question. #isitok to be disabled and not be a superhuman? #isitok to sometimes be weak and fall apart? #isitok to just be a normal everyday person? Am I a superhero or a super victim? Being chronically ill means that I often find myself sometimes being a little bit super hero and sometimes being a little bit the victim, but mostly a real person thats none of these. I am very aware that people think I’m always winging about being ill or broken or in pain and its true (theres another post coming on this soon). The fact that the constant pain is held in 90% of the time is a feat of superhuman strength that you don’t see. BUT there’s points at which I reach crisis and fall apart and these are my ‘victim’ moments. These points usually come at times when everything reaches a peak pain levels, or I have fought so hard with benefits and housing and come across another stumbling block. At these times everything falls apart and I don’t want to be strong. This is the time that people offer words of support and point out how string I am the rest of the time, how i’m superhuman. Most of the words about being strong come from others as words of support. I completely hear when someone is saying you are so strong and it is a compliment. It does boost my self esteem because it acknowledges that 90% of the time that my mouth is shut and fighting the pain, or the loss of my life as I knew it. But I’m going to say this because its the truth, not because I want to offend people: at the same time as it being a compliment it is also a burden. I don’t want to always be the hero of this story. Sometimes it would be nice to crumble and for that to be ok. To fall apart and someone else play the hero. Sometimes I’m tired beyond tired. The pain has worn me down to the point I can’t live with it anymore. The system of benefits has broken me and I don’t want to feel like a criminal for asking for help from the state that I’ve paid into my whole life so far. I don’t want to hear ‘stay strong’ when I can’t see an end to the housing crisis I’m in. I don’t want to hear this will change when 2 and a half years is my limit and I’m saying its gone on too long. I just want to fall apart and that be ok. So I think you get that living with a disability isn’t fun and we to be honest we are not always feeling superhuman. We are ordinary people and like everyone some like playing sport and others don’t, a small minority will be athletes. The risk of presenting people as superhuman when they compete with a disability means that the rest of us that don’t are not doing enough to help ourselves. To be honest I hate playing sport, especially those played on the olympics (I do love watching them though). This is probably because I’ve been hyper-mobile my whole life and sport really hurts! But it’s just not in me to do it. Does that mean that I am a failure even at disability? When I look at the Paralympics I do also want to ask is it also ok to ask why invisible disabilities are not included in the games? In fact we are rarely represented at all on screen or even as disabled people. How, with fatigue, can we train and practice to compete? How with joints that dislocate can we complete in running, leaping and jumping? How with fluid in our joints and excruciating pain can we whizz round a basketball court or hit a volley ball on the beach. I think all this highlights is that the disabled community itself still hasn’t accepted chronic illness and invisible illness fully. So I’ve asked myself what sport could we compete in? Where are the events for napping, getting dressed, walking the dog? Because sometimes just daily activity is our superhuman feat: that getting out of bed in the morning is like flying to the moon and back. I’m going to finish this post with an anecdote from a close friend who has narcolepsy (she’d be my competitor on the napping event for sure). She once asked me ‘If you could lose your legs or have a chronic illness which would you choose?’ And my answer in a flash was lose my legs, and she said she had answered the same in a conversation with her husband. It in no way comes from a place of saying losing your legs isn’t life changing and devastating, because it is. But it comes from a place of certainty and being able to adapt. With losing my legs I would learn what I can and can’t do and work with this. My capability wouldn’t change so drastically from day to day, but be a constant thing I could learn around. It wouldn’t be easy but I’d still have my health and energy. I could work towards something like the Paralympics. Syndromes like Narcolepsy, Behcets, Auto-immune, Fibromyalgia. Lupus, RA, EDS etc. don’t allow for this. They are tricky because its like flu everyday and its unpredictable. They rob your life in a different way. In addition to this the symptoms are often not seen by others so completely misunderstood. You don’t see that under my clothes my joints are hot, full of fluid and dislocating. That I have sores that burn and ache. That at the beginning of the day I can’t walk properly for 3 hours or that at the end I’m moaning in bed from pain of the day. That my biggest spend this Christmas was on eco incontinence pads. That the fear of running our of painkillers produces panic. That I’m tied to medication and its a constant worry. That my diagnosis is permanent, incurable and my life changed forever. The Paralympics 2012 began to change the world’s view on disability and watching that superhuman advert still fills me with awe. But it is only the beginning. The fight doesn’t stop here. I know that I am not represented by these athletes but I know they’ve opened a gateway into acceptance. That those few people competing have changed the view on what disability means. But most importantly they’ve made disability visible. The next steps are to make ALL disability visible. But to do this in a way that recognises that superhuman means coping with the everyday. I got up and wrote today, no one will give me a medal for that. But I am happy that I’ve achieved this. I am a superhero of napping, baking, gardening and making. My superpower is creativity. I’ve often been encouraged to apply for the Great British Bake Off but I know I couldn’t because of my disability. I was so encouraged to see Bryony this year compete and that her disability wasn’t drawn attention too, she was a competitor, that was it. I would love to work with producers to find a way for this dream to happen but I just don’t know how it would work. I found my superpower because it is my everyday and my drive. Everyone has their own too you just have to dig to find it. I also know is it is ok to be strong and also sometimes weak. It is this that makes the best super hero story, the ones we love are the ones that are human and mess up. We are all super human, some are just a little more tired and achey, but we are just us.